Select an object (Photos, Shapes, Charts etc) and then use the Transparency control on the Properties panel to adjust the transparency level. 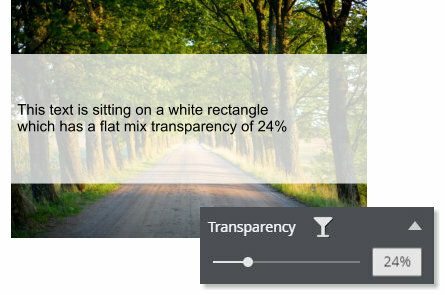 With the transparency slider, you can adjust the transparency level to suit. 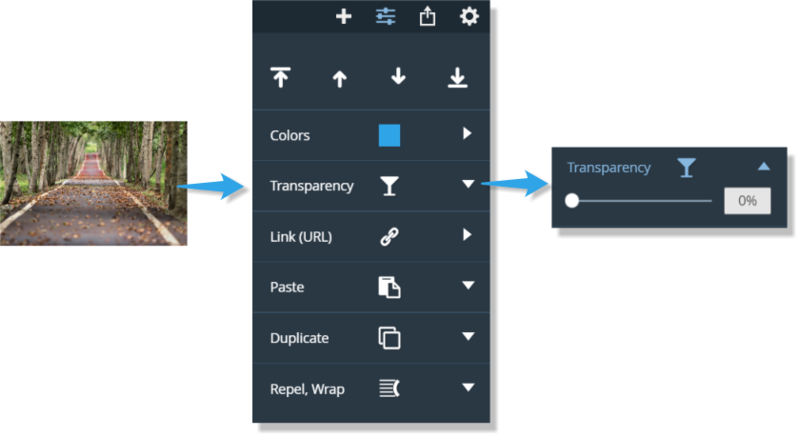 Xara Cloud is able to display objects with all the gradient transparencies and shapes available in the Xara desktop products (Photo & Graphic Designer, Designer Pro and Web Designer Premium). There are 3 components in this example - the photo, a white rectangle and some text. The white rectangle has been given a transparency value whilst all the other items remain opaque.